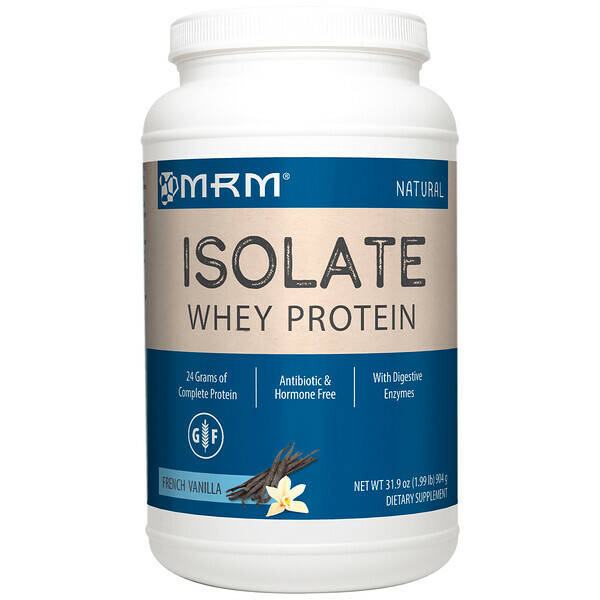 Whey Protein Isolate goes through a delicate and precise filtration process to effectively remove excess amounts of fats, cholesterol, and carbohydrates, resulting in a non-denatured protein. In general, these powders will contain a higher percentage of protein compared to Whey Protein Concentrate - generally around 90% protein. These are best utilized immediately after a workout and first thing in the morning when fast-acting protein is needed most. MRM’s HBV (High Biological Value) blend contains quality whey protein isolate and vegan enzymes. Each serving contains 24 grams of highly digestible protein (high in BCAA’s), zero fats, and only 4 grams of carbohydrates per serving. All this high quality nutrition gets delivered in a clean formula, utilizing natural sweeteners and natural flavors for a great tasting shake. 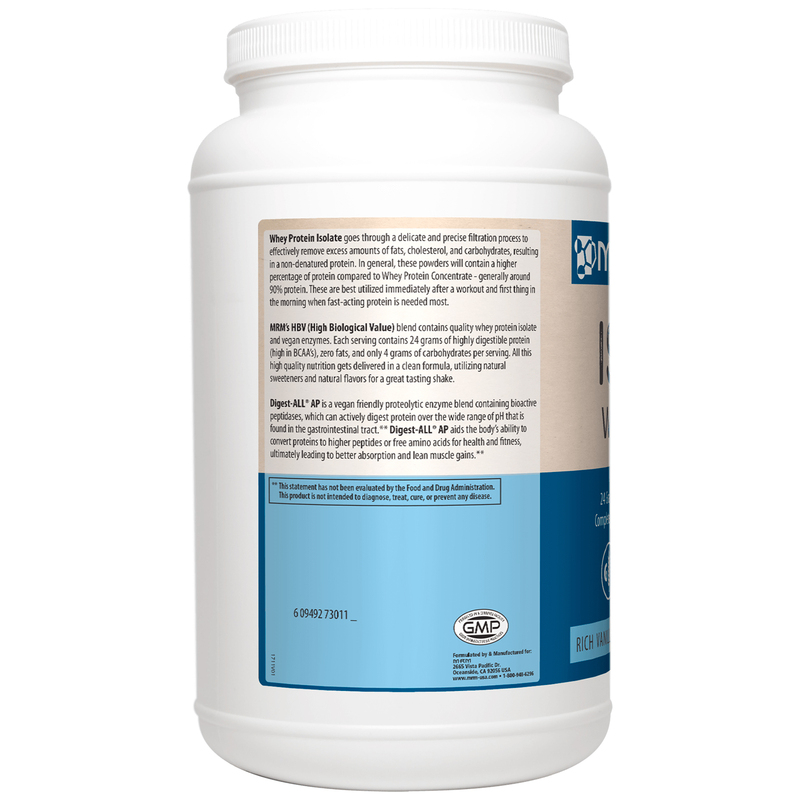 Digest-ALL AP is a vegan friendly proteolytic enzyme blend containing bioactive peptidases, which can actively digest protein over the wide range of pH that is found in the gastrointestinal tract. 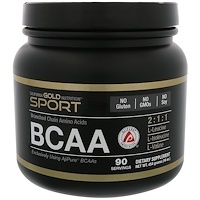 Digest-ALL AP aids the body’s ability to convert proteins to higher peptides or free amino acids for health and fitness, ultimately leading to better absorption and lean muscle gains. Add one level scoop (30 grams) to a 3-4 oz glass of water, milk, juice or blend with yogurt and fruit. When mixing, add liquid first, then powder and stir or shake briskly until completely dispersed. Low Carbohydrate Diet (Weight Management Program): A recommendation of 1 scoop per day for those trying to increase their dietary protein intake while decreasing intake of carbohydrates. 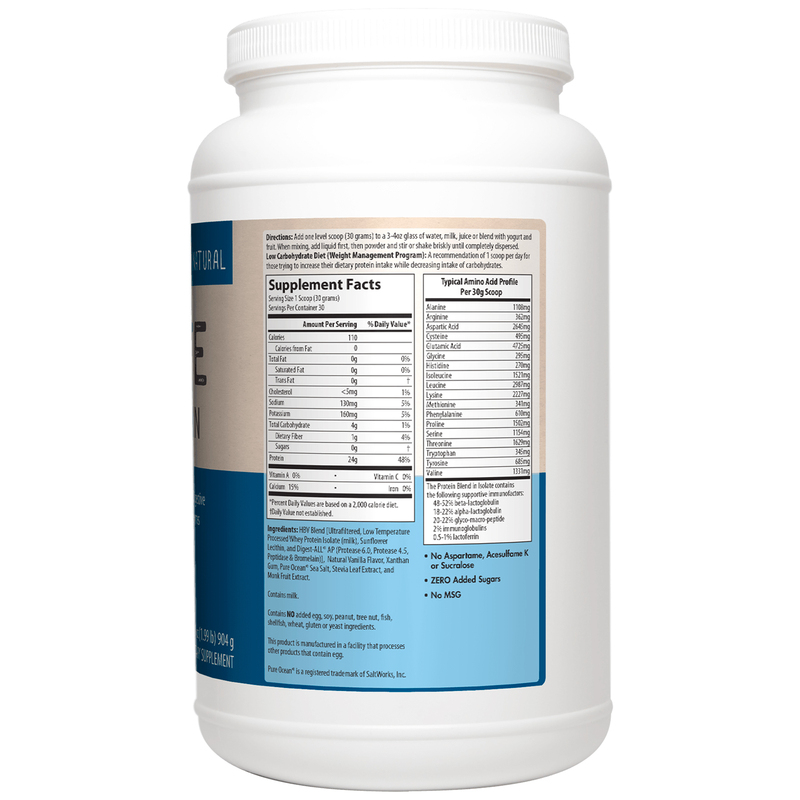 HBV Blend [ultrafiltered, low temperature processed whey protein isolate (milk), sunflower lecithin, and digest-all ap (protease 6.0, protease 4.5, peptidase & bromelain)], natural vanilla flavor, xanthan gum, pure ocean sea salt, stevia leaf extract, and monk fruit extract. This product is manufactured in a facility that processes other products that contain egg.